2011’s Rise of the Planet of the Apes was an intriguing surprise. At first blush, it looked like yet another tired franchise reboot, but it played out more like a personal drama than an ape-centric action movie, and it led up to a thrilling climax that set the scene for further enjoyable Apes films. 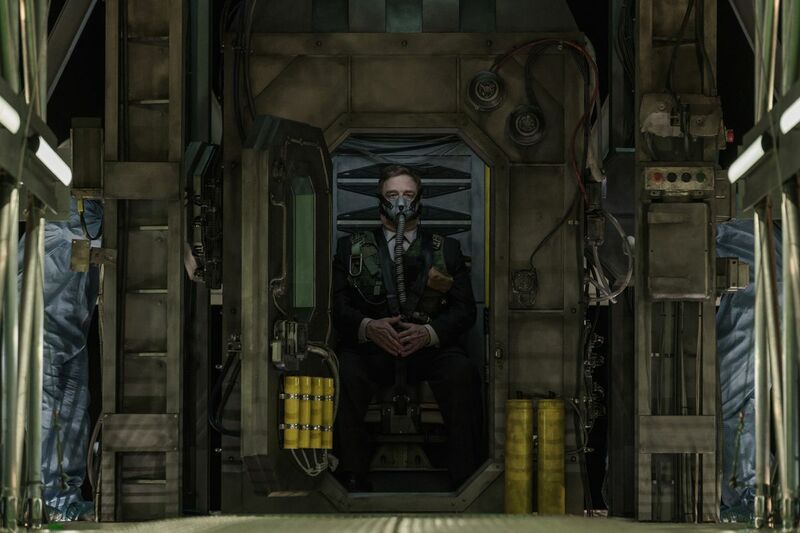 It’s difficult not to see Captive State, the latest feature from Rise director Rupert Wyatt, as closely related. It’s also a surprisingly subdued insurrection movie, a science-fiction feature about revolution and resistance that defies genre expectations and focuses more on a personal story than on big action beats. Ashton Sanders stars as Gabriel, a Chicago teenager living on an Earth occupied by a powerful race of aliens. His parents died years back attempting to escape Chicago, and his older brother Rafe became a martyr in a guerilla movement against them. His father was a cop whose former partner, William Mulligan (John Goodman) keeps an eye on Gabriel, but also suspects he might be involved with an ongoing rebellion. But while their relationship is in early focus for the film, it also shifts to take in the movements of the remaining resistance against the aliens. The film feels like it was made for the current cultural moment: as the aliens exploit Earth’s resources, a handful of human collaborators have become rich and powerful by selling out to their new masters, and a permanent underclass struggles to survive. 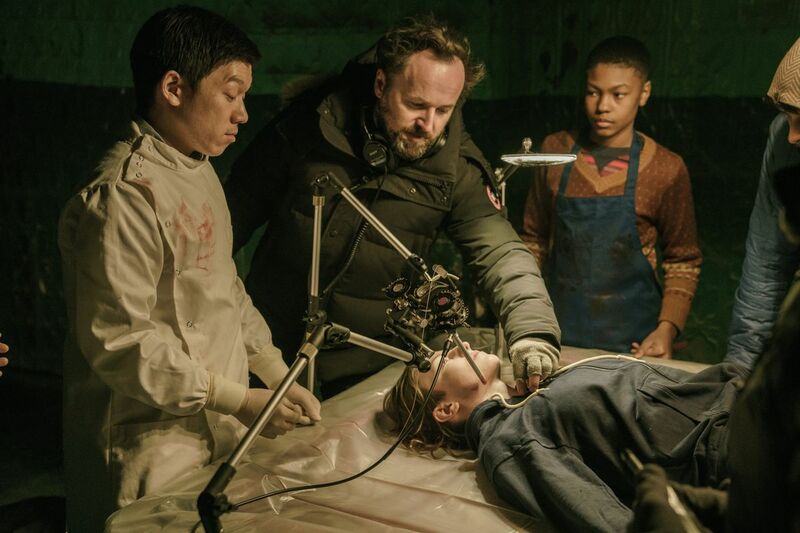 From the SXSW Interactive Festival, I spoke with Wyatt about why Captive State foregrounds its aliens in the opening moments, how Chicago’s racial divides play into the film, why it isn’t specifically a look at Trump-era America, and how it compares to Rise of the Planet of the Apes. It’s so standard for movies featuring monsters to withhold the monster as long as possible, but you make a point of having characters confront your aliens up close in your opening sequence. Why did you want to structure the story that way? It’s a really good question. I think the withholding of the monster is obviously tried and tested. It’s the Wizard of Oz effect, like you’re pulling back the curtain to reveal the face of the enemy. And it became clear to me and Erica that really, the enemy lies within. It’s about us. It’s about who we are as human beings, and the moral choices we make under duress. People’s expectations for a film like this is that the enemy will be the alien. So it was clear to me that I needed to remove this expectation, this notion that the alien would have some greater reveal when we finally saw it. Instead, we put it front and center early in the film, so we understand that yes, it’s the underlying threat, the engineer of everything, but ultimately, the problem is what it creates, this society under occupation. To me, that’s the interesting sandbox within which to tell the story. It’s clear from then on that our government is the real enemy in this story. At the same time, your design for them evokes a strong fear response. What thinking went into the design process for your aliens? There’s a great deal to be said for aesthetic value. We wanted to display the terror that an extraterrestrial could convey. But it had to be built on plausible foundations. The idea was that they come from a carbon-based planet, and they’re here to strip-mine us of fossil fuels and resources. Then it’s a question of, what are their species origins? In many ways, we followed this notion that they are wasps and we’re bees, protecting our hive, and we’re prepared to sacrifice ourselves for that hive. We built on the idea that they’re insectoid in origin. They live below ground, they don’t breathe our atmosphere, maybe they’re quite feeble and vulnerable. So to protect themselves and hide that fact through technology, they have this incredibly strong, terrifying armature they can use to emote, hence the sort of porcupine aspects of them. And that was inspired by Antony Gormley, the sculptor. He does these amazing sculptures, some in particular, these humanoid sculptures made entirely out of spikes. That’s where I got the idea. John Goodman in Captive State. The film’s structure is also unusual. You focus a lot on a big, complicated conspiracy, but you don’t really introduce the participants as people. They’re more like functions. Did that come from the idea that the collective is important and the individual isn’t? It does. It’s interesting you say that. There will always be an audience that expects something different, and wants the hero’s journey. In mainstream modern cinema in particular, that’s a classic structure, and there’s an idea that one must always follow that. But here, when we first introduce John Goodman’s character Mulligan in his apartment — it’s barely audible, because I wasn’t sure how much to lead with this, but there’s a radio documentary in the background about wasps attacking a hive of bees. And that was always part of the structure, and behind this idea that some of us are willing to sacrifice ourselves for the greater good. I liked the idea of creating a spiderweb of these characters who, just by the nature of this being a finite feature film and not a TV series, we really did have to color in, through shorthand, placing these very disparate characters together into a melting pot to tell our story. So an ex-Catholic priest, teaming up with a person in the trans community, along with a female auto worker — all sorts of very different people, all hiding in plain sight, form the basis of our story. It does feel like a compressed season of television, since the cast is so large. Was the plan always to do this as a feature film? It was. This isn’t the first time I’ve heard this reaction to the film. Maybe everybody, you included, makes a really pertinent point, and this should be a TV series, a longer-form story. But the formative stories for me, the ones that really inspired this film on a cinematic level, are films. Two in particular: Army of Shadows, the Jean-Pierre Melville film about the French Resistance fighting the Nazi occupation, and then The Battle of Algiers, the Gillo Pontecorvo film of the late 1960s, about the French occupation of Algeria. They have huge casts, like a hundred speaking parts. You really go across the map, following these characters in and out of different situations, in this real-time, pretty emotionally dry cause-and-effect storytelling. So I was really excited to be able to try to emulate that in the context of modern America, where I’ve never seen this style of story before. For better or for worse, I don’t know. That’s for you guys to judge. Ashton Sanders looks out at Lake Michigan in Captive State. You’ve cited those two films a lot in talking about the film, and you’ve cited some of your historical inspirations, like studying Pinochet’s Chile. But what did you want to evoke about contemporary America, about current politics? We started writing it before the current administration in America. The rise of populism was occurring, but it was never our intention to make a polemic. I’m neither right-wing nor overtly left-wing. As a storyteller, I’m always looking to find the human story. It just so happens in this case, the idea of an authoritarian government that has come into being because ultimately a government capitulated to this outside invading force, for their own gain, for their own near-term profit, I think is wholly relevant on any number of levels, both in America and beyond. But the most political aspect of this film, I would say, is in how we treat our environment, and how society and the government are not the custodians of this planet in the way we should be. That is very much down to big business, and capitalism, and short-term profit. And that definitely needs to be considered and addressed. There’s a strong contemporary American resonance in putting a black family at the center of the story, and in focusing on the tension between a white cop and a young black man who’s trying to come to terms with his family legacy. What were your intentions in the film’s racial dynamic? As somebody from Chicago, you know only too well — and I grew to see this very much — that the cultural and ethnic diversity of your city is extraordinary and wide-ranging, but policy breaks down by district, as many modern cities do. It was my intention to tell the story in as authentic a way as possible. So I chose to set the film in a working-class, lower-middle-class, tradesman community. I know Pilsen is changing in Chicago, it’s gentrifying, but it has an old-world foundation. And the people whose stories we’re telling, they’re teachers, they’re policemen and women, they’re dentists, doctors, medical students, priests, people from all walks of life and ethnic backgrounds. So it was wonderful to be able to tell a story where that racial divide, that racial question about what it means to live in a modern society, depending on what color you are, was not the forefront of this story. I hope Captive State is a hopeful film, in that those tribalistic divides become moot, irrelevant, and totally redundant. Because ultimately, individuals from different walks of life are having to unite under the flag of fighting back against the common enemy. You only have to look at 20th-century history to see this play out. Or any period of history, frankly. Those with the most to lose invariably collaborate with an enemy, and those with the least to lose are the heroes, the ones who make the choice to fight back. It’s never as black and white as that, it’s never completely binary. But in this case, it’s the districts and areas of Chicago that are more on the margins of society, are less economically vibrant, that become the hotbeds of militancy. I think that’s looking to play to the truth. With Rise of the Planet of the Apes, you’re also telling a story about an underdog, an uprising and mass resistance, overthrowing the status quo. But in that case, the story is so focused around the hero’s journey, with a visionary leader with a strong personality. Did working on that film shape this one? How do you see them as different? They’re definitely both concerned with the notion of pushing back against the walls that can surround us, and raging against the machine. Who we are as a species, and what pushes us forward. But they’re very different. Planet of the Apes was a fairy tale in many ways, a fable. I lit it as such, I approached the tone as such, and I like to think that’s the foundation for its success. I mean, there are any number of other reasons why the film ultimately became successful, with all the amazing people involved. But at its heart, I think the tone and approach to storytelling appealed to all age groups. Captive State is a little different. It’s more grounded, it’s more about what we see outside our window today. It has more of a documentary-like approach to the lens we put on life. And therefore it’s grittier. The sun doesn’t always shine, it’s the colder, gray skies of Chicago. That doesn’t necessarily let an audience in as easily. It usually takes people time to invest in the film. But at the same time, I set out to make something exciting and dramatically challenging, and emotional, and just as hopeful as Planet of the Apes. With the ending of this film, even though it may feel strange to say it, to me it’s a very hopeful ending. I think we should be asking our leaders today why we should believe in them, whether they’re willing to sacrifice themselves for the greater good. I think we make that demand quite explicit in the film. The film is sci-fi, but it’s definitely a relevant question to us. For people who have that level of responsibility: “What are you willing to sacrifice?” I think that question lies at the heart of all great leadership.